Having any type of pest in your home or on your property is hardly a fun time, so get rid of them quick! The simple solution is calling us up where you'll get a straightforward quote for service over the phone. Call Pleasanton Pest Control for a free quote now at (925) 948-8829. After our initial inspection, our pest control treatment is quick, at a sensible price, and most importantly, our service comes with the results you need. We handle just about any type of pest, so we probably take care of whatever you are looking for. But just in case, some of the more common calls for our pest control are related to bed bugs, cockroaches, fleas, wasps, ants, spiders, raccoon, skunk, gophers, moles, squirrels, mice, rats, and other rodent control. Experience is one of the most important things when dealing with exterminators and pest services. Our owner has been in the pest control industry for over 20 years and has been running his own business for the last decade. Our primary source of business has been off of referrals and we hope to earn your trust like we have of many of our other customers. Give us a call (925) 948-8829. I’m Mario, and I'm the owner of Pleasanton Pest Control. For years, my company has been servicing and exterminating all different types of spiders, cockroaches, mice, rats, gophers, voles, moles, ants, fleas, flies, wasps, bees, and many other annoying creatures. My company has been the trusted resource for all pest control questions, concerns, and infestations for quite some time. Anyone that has a pest infestation needs to be assured that they have a company on their side to get the job done. A big part of exterminating a pest infestation is knowing the routes and patterns of the creatures. A big part of what we do is prevent any further pests to live, eat, and sleep on your premises. We take your pest extermination needs very seriously. Once we have scheduled a time to meet, and go over the property. A pest control expert will be able to set up various different traps, repellents, and poisons if needed to completely exterminate the problems. No one likes an infestation problem, and almost certainly no one like a recurring issue. For this reason, we spend a lot of time removing and preventing any further pest presence on your property, this truly is a big part of the process. Pests love warm weather, and hate cold weather. Most of us do to right?! If it's hot out insects, spiders, bed bugs, cockroaches, rodents, rats, mice, wasps, fleas, flies, bees, ants, etc. all like to come out to get fresh air. On the flip side when it's cold and wet, pests flock inside your home and business for shelter. Besides warmth and shelter, a big reason pests come indoors is for the food and water you have. If you have easy to access food or crumbs lying around, it may be a great opportunity for bugs to infest your kitchen. To combat this problem, simply seal up any food or pantry of food you may have to help prevent further damage and infestation. Absolute worst case scenario, a pest infestation may get so bad that you may need a company to come out and implement the right fumigation procedures to help alleviate future issues. No one wants a fumigation to go down, but in many cases it is a serious solution and will help out tremendously. If you're a pet owner you may be very prone to flea infestations, especially if you have a dog or a cat. Dogs have a high tendency to attract fleas into a residential area. It’s important to make sure your bed and couch are never attacked with a flea infestation. No one likes having to deal with this kind of problem. Children may also bring in fleas and other pests if they play outdoors a lot. Make sure you take care of your property indoors and outside, this will help to aid future pest control infestations. If you are seeing problems present themselves there’s no better reason to call us today. When you get a hold of us we’ll be able to take care of the problem at hand and get rid of a lot of the stress you may be having. Our pest control company with the years of experience in Pleasanton, Dublin, Asco, Sunol, Castro Valley, San Ramon, Castro Valley, Danville, Walnut Creek, Antioch, Pittsburg, Lafayette, Oakland, Berkeley, Alamo, Clayton, Livermore, Tracy, Orinda, Moraga, Richmond, Emeryville, Napa, Richmond, Pinole, Vallejo, and many other cities in Contra Costa, Alameda, and Solano County, we will be able to take care of any pest control problem with confidence. You can count on us to assess, diagnose, and implement the right strategies to totally eliminate all pest problems. Without actually seeing the pest infestation it becomes very challenging to be able to know what to do. For this reason, it is imperative that you give our company a call today to schedule a time when we can come out and survey the property or business. No one likes dealing with bed bugs at all. Who wants to roll over or be sleeping in a bed bug infestation? I don’t know anyone that would fall under this category. 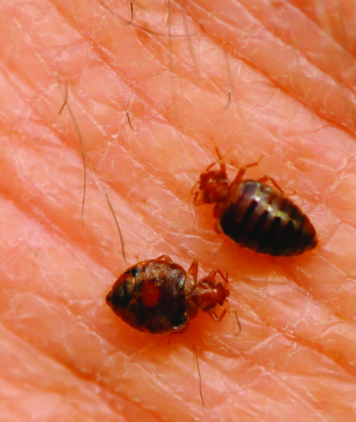 Bed bugs are a very common infestation problem to have for most residents. 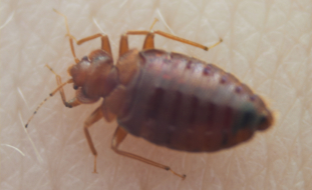 The troubling part about bed bug infestations is many times you may have no clue you have a problem until you notice bed bug bites on your skin. If you do come across an infestation give our company a call today to take care of the problem. Dial (925) 948-8829 now. Problems with bed bugs stem from a someone, or something bringing the bedbugs inside your home. Usually someone went to another house that has bed bugs, and brought a couple to their house. The problem will lie dormant for awhile while the bed bugs start to reproduce. You usually may not notice until they are already repopulating. Bed bugs will hide under mattresses, corners of the walls, under piles of clothes, and wherever else it is dark. As darkness comes and people and animals are silent and not moving, the bugs will come out of the shadows and begin biting and sucking the blood of their victims. They don't need to feed often either. They can go months without food/water. If you notice bed bugs in your home, put all of your clothes and sheets into the washer at the hottest setting, then the dryer on a hot setting. You can also put your mattress in a sealed plastic covering to seal in the bed bugs. Don't take it off for many months either. The best option is to call in a Pleasanton bedbug control team to handle it. Using our heat treatments, we eliminate bed bugs and their eggs so that even if we kill all the live ones, we kill all of the ones in eggs too. We usually like to tackle the entire building as bed bugs can spread incredibly quickly. If you want a few tips on what to do, get rid of your bed sheet and mattress in entirety or wash the bed sheet with extremely hot water. Lastly, it is important to consider purchasing a bed bug net to cover your mattress with, these purchases are often times undervalued for the amount of help they provide. Gone are the days when residents or business owners have to figure out what the best methods for bed bug control and extermination. Why bother trying to figure it out on your own? You don't have to. Call (925) 948-8829 today. Having a rodent infestation in your home or on your business property is never a good thing. There are many different rodents. Roof rats, norway rats, mice, gophers, moles, voles, squirrels, weasels, and any other furry animal may be considered a rodent. 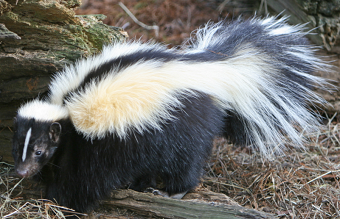 Often times you know you have any infestation problem when you either see, hear, or smell their presence. Rats - There are many different kinds of rats that are common problems throughout Pleasanton. Norway rats and roof rats are usually your most common problems. Norway rats are your common street rat, they do a lot of burrowing and scavenging. Roof rats are more of your climbers and you may find you have an infestation going on in your attic. Both kinds of rats will gnaw wood, electrical wires, and anything else to get to where they want to go. Mice - House mice commonly will bite holes through the wall and scurry around through the night. You may hear them, but you likely won't see them. Anytime they are in fear they quickly go into hiding. They also reproduce very fast. Squirrels - We get a lot of calls for squirrels in the attic in Pleasanton and other cities. Squirrels are often climbing trees around homes and if there is a tree nearby your house, a squirrel may jump onto your roof and get into your attic. When they find the safehaven of your attic, they may decide to stay there until you do something about it. Moles, Voles, and Gophers - These rodents will tear up your property digging holes and eating gardens, and destroying your lawn. The longer one of these rodents go without being stopped, the further they will damage your property. Rodents may be challenging to get rid of. The rodent control process starts by trying to determine where a rodent or rodents may be living, eating, and sleeping. Often times, finding droppings is a great source to identify where the rodents are. Depending on your circumstance, if you have children or pets, employing a rodent trap, repellent, or poison (in some instances) are the best ways to exterminate rodents entirely. For the best rodent control in Pleasanton, CA give us a call today! (925) 948-8829 is our contact number. Cockroaches are the absolute worst. No one likes having to deal with a cockroach infestation. Instead, lean on the professionals in Pleasanton, Ca to get service your house or business today. (925) 948-8829 A lot of times cockroaches love to live and sleep in the dark. If you happen to come across cockroaches in the daytime, there’s a good chance you may have a serious infestation problem on your hands. Without the professional extermination implementation there will be little to no chance you will be able to get rid of cockroaches. Like we’ve said before, if you're having cockroach problems with infestations don’t stress about the situation at hand. Give our cockroach exterminators a call today to schedule an appointment when it bests fits your schedule. It’s imperative that our pest control experts see and know what is going on with your current situation. Call (925) 948-8829. No one in the right mind likes to deal with pests, bed bugs, cockroaches, animals, rodents, insects, and any other annoying / uninvited guests in their home or business. For this reason if you're in Pleasanton, CA you can be assured that our pest control company, Pleasanton Pest Control, can take care of the infestation & annoyance for you. Don't delay the process any longer, give us a call today for a free quote and estimation. Call (925) 948-8829.